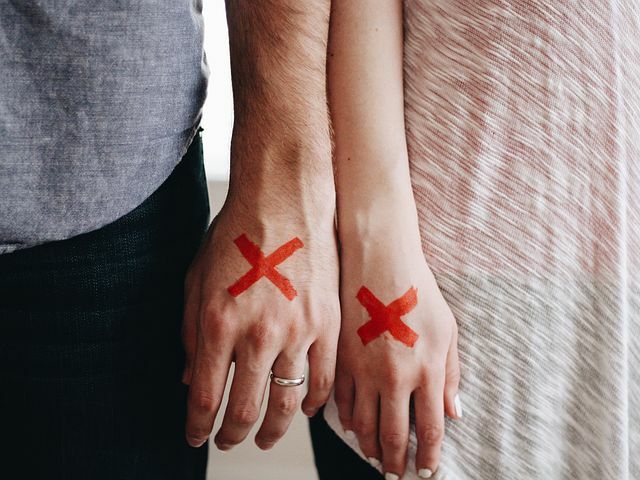 Divorce is one of the most stressful events in a person's life and although the State of Illinois is reported as having one of the lowest rates of divorce in America, the most recent numbers indicate 30 percent of couples in Cook County were divorced. When we watch dramatic television shows, we often see angry, bitter couples revealing intimate and embarrassing details about the decline of their marriage in a massive courtroom before a judge with an active gavel as both parties are flanked by attorneys in fancy suits. But – although divorce is never easy – it's is actually seldom this dramatic. Contrary to what many believe, divorce is more complicated than just a contested or uncontested divorce. There are many considerations before undertaking the task of divorce. But when a couple comes to a mutual decision that a divorce is the best thing for everyone involved, this is called an uncontested divorce. Generally, the most common couples who opt for the uncontested divorce are those who have not been married for long and have very little in the way of assets with no children. But this does not mean that couples who are terminating a long-term marriage with quite a bit of assets, with or without children can't opt for this less complicated alternative. Getting a divorce – You both concede the divorce is broken beyond repair. Division of assets – Home/s, bank accounts, stocks, bonds, properties, etc (Illinois is an equitable distribution state which means the division of assets and debts is not necessarily always 50/50). Child Custody – A good parenting plan helps to eliminate tension in the present and future by making clear, concise guidelines about where the child lives, how long, how often, and establishing special circumstances, if any. Child Support – It's important to keep in mind not only the current situation but your child's life as they continue to grow beyond your divorce when factoring child support. Alimony/Spousal Support – Illinois has specific guidelines when it comes to establishing spousal support. In the state of Illinois – while not suggested – it is possible to do a divorce on your own. However, the dozens of forms you and your spouse will need to complete, sign, and submit can be exhausting on top of frustrating and you'll have to work together to get it accomplished. The first form, of course, is the Petition for Dissolution of Marriage either with or without children. Beyond this, there may be many other forms, depending on your individual situation. It's best to consult with an expert before filling out any forms for divorce because the state of Illinois has many that may apply to your divorce that you may not be aware of and it's utterly discouraging to think you have everything you need, only to be told by the court that you have some information or additional forms missing. The amount of time it takes to fill out these forms will also vary and can be quite overwhelming, especially when you're going through the process of divorce. Although your divorce may be uncontested, there is still likely a high level of distress and angst for one or both spouses. When you toss on top of the strain of a divorce, the rigors of filling out all of the right paperwork, answering all of the right questions, filing all the proper forms in the proper ways by the right times, this tension can multiply exponentially and rear its ugly head in an otherwise amicable situation. A Chicago divorce attorney-mediator removes much of this unnecessary strain at a much lower cost than litigation and attorney's fees. As a bipartisan entity, a divorce mediator takes a look at both sides and works alongside you and your spouse – with no bias – and helps you and your spouse to make the right plan for both of you. Since all states are different, it's helpful to have a mediator from the Chicago area who can navigate the complex maze of details, forms, and information through the emotional landscape of a dissolution of marriage. According to NOLO, couples who employ the services of a private divorce mediator, almost always pay less for their divorce (the average cost of a divorce in Illinois is nearly $14,000), take less time, and – perhaps most importantly – settle with a much more concrete agreement. Having a mediator is especially helpful if you and your spouse agree for the most part, but still feel those uncomfortable feelings of resentment or blame that makes effective communication difficult – one aspect of divorce that can actually lengthen the time it takes to complete the process because of the many "breaks" you and/or your spouse may need to take between negotiations. When you consider the many benefits of having a professional divorce mediator to assist you through the process of divorce, it's difficult to refute the value. Take some time to learn what will happen during your Chicago divorce mediation and what questions you should ask your mediator. In the end, getting a divorce is draining and stressful enough so anything you and your spouse can do to make the process go a little more smoothly, will help lessen the emotional, mental, physical, and financial burdens of everyone involved. Once you and your spouse have decided to move forward, reach out to our attorney-mediation experts for a free consultation. *Note that a spouse filing for an uncontested divorce where the other spouse does not reply by filing an Appearance and Answer, it will be an uncontested divorce, according to Illinois Legal Aid. Previous Post « What Happens After Divorce?